JetBlue has daily flights to Cuba from New York and Florida. JetBlue Airways seems pretty eager to fly from Boston to Cuba. For the third time in about a year, the top airline carrier at Logan International Airport is pressing the federal government for permission to run a direct flight between Boston and Havana. After being rebuffed twice, JetBlue is trying to seize on the cancellation of flights to Cuba by two other carriers to finally get a Boston route approved by the US Department of Transportation. The weekly flight would shuttle between Boston and Havana on Saturdays, and if approved, could begin in November. The carrier last week also asked for permission to expand its current service between Fort Lauderdale, Fla., and Cuba with six additional flights a week. Commercial passenger service to Cuba is still relatively new. After the Obama administration lifted travel restrictions between the Cold War rivals, the Transportation Department approved the first round of flights last summer—though JetBlue’s Boston route was not among those. In a filing last summer urging the United States to reconsider, JetBlue argued Boston should have Cuban service because “it is the gateway to all of New England and perfectly embodies the educational and cultural travel categories that will be the focus” of US-Cuba travel. A few months later, when Alaska Airlines asked for a delay before launching its Cuban service, JetBlue instead argued it should be able to take over the Alaska route with a Boston flight. Its bid was rejected by the government. This time, the company is seeking to take over flights to Cuba that competitors Frontier Airlines and Spirit Airlines have recently said they will suspend because of inadequate demand. JetBlue has robust Cuban operations, with 13 weekly flights from Fort Lauderdale to Havana and daily flights from Orlando and New York to Havana. It also has three daily flights from Fort Lauderdale to other airports in Cuba. 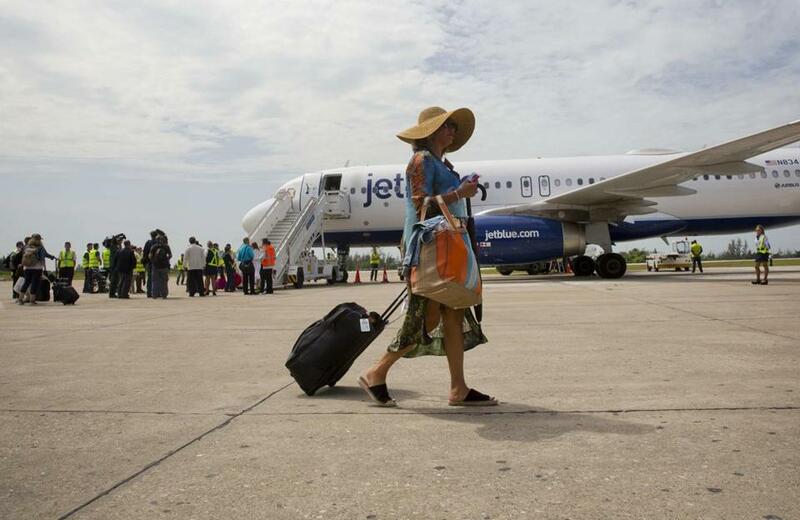 Even so, demand for trips to Cuba may not been as strong as anticipated; in February, JetBlue said it would begin using smaller planes for Cuban flights.